Ana the Imp: Ding, dong, Hugo is Dead, Horrible Hugo is Dead! “Chavez Vive!”, the red-shirted chavs are shouting on the streets of Caracas, the capital of Venezuela. No, he is not – Chavez Muerto! Thank goodness that the world is rid of another petty demagogue, a corrupt and degraded icon of the left. It's a measure of just how degenerate left wing thinking has become when a creature like this is celebrated. Rather have no more heroes anymore than a hero like Horrible Hugo. By his friends shall ye know him, and lamentations are coming from the likes of Syria’s Basher Bashar al-Assad and our very own Ken Livingstone, King Newt himself. Diane Abbott, that fat thick black racist, said that his death was a ‘tragedy’ for South America. Imam George Galloway described him as ‘Spartacus.’ I wish that the Romans had got to him sooner. “He’s Spartacus”, I would gleefully have shouted. Obsequies are also coming from Iran’s President Mahmoud Amadinejad. Apparently Saint Hugo will rise from the dead, reappearing among us in the wake of Shia Islam’s long awaited Twelfth Imam, which means, of course, it will be the twelfth of never, which will be a long, long time. Then there is the mass outpouring of woe from the readership of the Guardian, a paper, ironically, that would never have survived in the Bolivarian Republic of Venezuela. Hmm...maybe there is something to be said for Chavez after all. We go now to another delusional tyranny; we go to Cuba. There two days of national mourning has been announced, a period of “deep and excruciating sorrow”. It will indeed be deep and excruciating for the Castro mafia if a post-Chavez government cuts off the oil transfusions which have kept their shabby regime afloat for the past few years. Meanwhile, back in Caracas, the red shirts wail. Oh, woe is them. 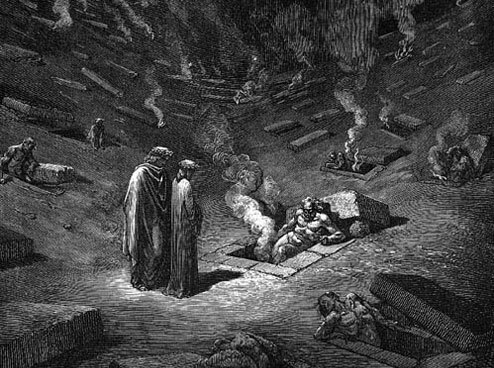 Vice President Nicolas Maduro led the lamentations. There he is, flailing around the place, blaming shadowy right wing and foreign forces for Chavez’ premature demise. Apparently his cancer might have been plotted from ‘outside.’ Yes, indeed, a successful attack, code named Operation Crab! Even so the mourning extends, yea, even so far as the United States, that is to say, even so far as the actor Sean Penn. Apparently Chavez’ death is the hardest thing he has had to endure since trying to watch all of ex-wife Robin Wright’s series House of Cards on Netflix. He plans to honour his late buddy by making life a ‘living hell’ for his fellow Americans. I guess he won’t have to do very much then; his mere presence among them should be more than enough. Penn’s counter-attack on the Great Satan will include chain-smoking, which may mean that Operation Crab will soon claim another victim. In that sad event I expect the scenes of hysteria on the streets of Los Angeles greatly to exceed those in Caracas. Elsewhere there is a lot of pious hand-wring, the usual guff that follows the departure of leaders like this, hated while they were alive, loved now that they are dead. William Hague, our own Foreign Secretary, claims to have been ‘saddened’ by the event. Personally I prefer my hypocrisy in extremely small doses. Evo Morales, Bolivia’s indigenous and semi-literate president, said that Chavez is “more alive than ever.” Actually he’s more dead than ever. Amado Boudou, Argentina’s vice-President, tweeted that “one of the best has left us; you will always be with us.” Never mind the contradiction here. Perhaps he might like to go and find him? I would advise him to hold his nose in the process. Amidst the guff there is a nugget or two of sanity. The best, I think, comes from Ed Royce, Chairman of the US House Committee on Foreign Affairs. “Hugo Chavez was a tyrant," he said “who forced the Venezuelan people to live in fear. His death dents the alliance of anti-US leftist leaders in South America. Good riddance to this dictator.” Venceremos, Comrade Royce! The simple fact is that for all of his left-wing credentials, or rather because of his leftist credentials, Hugo Chavez was nothing but a bully and a thug, a fascist by any other name, who did much to destroy the economy of Venezuela for the greater good of...of what, exactly? Why, of himself and his venal, money-grubbing family. Is there anything at all to be said in his favour? There is this much: he over-fulfilled, Stalin-style, aspects of his own five year plan – Venezuela’s murder and inflation rates are now among the highest in the world. My, how it delights me to speak ill of the dead; how it delights me that Chavez has been swept off to the deepest circle of hell, where he can dance forever with the likes of the late Kim Jon-il. Heaven's mercy and its justice turn from them. I can think of a lot more! yes there are, but this one was a major problem, like the one in Cuba. Ana, I'm beginning to sense that Hugo was not high on your list of favourites. ...of bigotry. ... of political intolerance. He was still a person that died and so evil I think not, so saddened it delights you. Obviously you are entitled to your opinions. And I, although diametrically opposed, across a chasm of beliefs, will continue to follow your blog as it is wonderfully written. Mr Thursday, first and foremost I am delighted to have you as a reader. I'm delighted that you think my blog is well-written. I hope you appreciate me also for my honesty and integrity. I simply cannot regret the departure of this man, no more than I could have regretted the departure of Stalin. I think he served his country ill; I think he served humanity ill. He does not deserve to be celebrated in the way he has been, considering the damage he did while alive. Sic semper tyrannis. Another mad and bad. The world abounds with them and much of it ruled or influenced by them. What is it about socialism an ideology that patently does not work yet is enthusiastically taken up by so many. I believe socialism is attractive because it allows a government greater control over it's citizen and makes robbing them so much easier whilst making it look as if their first concern is for their citizens welfare. The world seems to be like a pool of dirty water and as hard as you try the scum rising to the top is impossible to stop. It amazes me, Antisthenes, that people cannot see socialism for the fraudulent philosophy it truly is. You are right: it's about the creation of state dependency; nothing more. I find it very amusing anytime the fabricated cancer comes up. As if immortality could be attained if not for this cloak&cancer schemes that seem to have infested these self-proclaimed martyrs . A tyrant is just that ,a Tyrant. There are no buts. Perón died almost forty years ago; but his legacy is alive and well in Argentina's political life. I'm afraid not much will change in Venezuela; there might be some new faces, but this sort of thing doesn't simply go away; it ends up permeating or "polluting" the entire political spectrum. There's a telling anecdote I like: when Perón came back from political exile he mentioned at a press conference all the political parties that were vying for the attention of the argentine voter without mentioning the peronists; when a reporter asked him about this he said: Well, we are all peronists. In the end he was right. The other important political party, The Radicals, became so like the peronists that many said that the only difference between them was that the Radicals (a middle class party) would bathe every now and then. All political parties have come to mimic peronist style and ideas to some extent; we are now a peronist nation, much as I hate to admit it. 11. Mission Barrio Adentro I provided 534 million medical consultations. About 17 million people were attended, while in 1998 less than 3 million people had regular access to health. 1.7 million lives were saved, between 2003 and 2011. 12. The infant mortality rate fell from 19.1 per thousand in 1999 to 10 per thousand in 2012, a reduction of 49%. 13. Average life expectancy increased from 72.2 years in 1999 to 74.3 years in 2011. 14. Thanks to Operation Miracle, launched in 2004, 1.5 million Venezuelans who were victims of cataracts or other eye diseases, regained their sight. 15. From 1999 to 2011, the poverty rate decreased from 42.8% to 26.5% and the rate of extreme poverty fell from 16.6% in 1999 to 7% in 2011. 16. In the rankings of the Human Development Index (HDI) of the United Nations Program for Development (UNDP), Venezuela jumped from 83 in 2000 (0.656) at position 73 in 2011 (0.735), and entered into the category Nations with ‘High HDI’. 17. The GINI coefficient, which allows calculation of inequality in a country, fell from 0.46 in 1999 to 0.39 in 2011. 18. According to the UNDP, Venezuela holds the lowest recorded Gini coefficient in Latin America, that is, Venezuela is the country in the region with the least inequality. 19. Child malnutrition was reduced by 40% since 1999. 20. In 1999, 82% of the population had access to safe drinking water. Now it is 95%. Hitler did a lot of good stuff too but has been demonized by the entertainment industry. 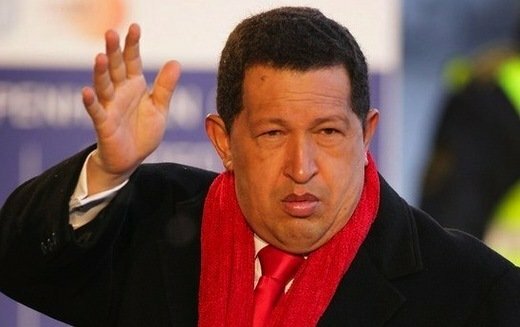 Anyway, I feel sure you are an honest person and have no reason at all to suppose that this list of Chavez’ ‘achievements’ is your honest perception. I, rather inconveniently, never accept anything at face value. I could, I suppose, go in to these points one by one but that would take time. The first one, though, jumps up and slaps me in the face. Time after time elections in Venezuela have been manipulated, the opposition hampered and free expression curtailed almost to the point of oblivion. You should not assume that demagogues like Chavez do not make use of the electoral process to achieve a bogus legitimacy, because they do, time and time again. This man was a friend of some of the world’s most loathsome regimes, notably Cuba and Iran. I take that as a measure of his true democratic legitimacy. Set that to one side. I have no doubt at all that it would be possible to compile a list of ‘achievements’ for any political leader that one cares to name. Take Stalin, for example, one of the most murderous men ever to have lived. His many crimes notwithstanding, he still has a following in Russia. I dare say if one was inclined it would even be possible to dredge up ‘achievements’ for the genocidal Pol Pot. Let me make it absolutely clear – I utterly despise leftist ideology and those who swallow the poison that poured from the misnamed Enlightenment. I despise the grandchildren of Rousseau. I think it wrong to quantify these things, but on the scale of outrage and horror socialism and communism rank far higher than fascism. This simple truth seems to escape so many. Chavez may not have been as repulsive as Mao Zedong but he stood on much the same ground. He effectively ruined Venezuela by his crack-brained economic and political schemes. The scale of his corruption and nepotism may take some time to be understood. I expect that there are people, perhaps you included, who will never understand just how loathsome this man was. Good riddance to him and his kind. I look forward to writing similar obituaries of his friends, principally Fidel Castro, Robert Mugabe and Mahmoud Amadinejad. Many thanks for your reply Anastasia. Unfortunately your response has more holes than a colander. Your claim that: "Time after time elections in Venezuela have been manipulated, the opposition hampered and free expression curtailed almost to the point of oblivion" has, I'm sorry to tell you, no basis in fact. Inconvenient as it may be for your argument, all of the elections in which he took part were transparently democratic. However I suspect that you were in favor of the very undemocratic coup which was attempted, with American assistance (reviving memories of the way the brought a genuine tyrant, Pinochet, to power in Chile). Rabid anti-communism is not a very sound method for historical examination. There is always more ambiguity in an historical event than you would like to imagine. Nor is it a good idea to only read books which you know in advance will confirm your point of view. I would respectfully suggest that you should read some books about the appalling effects of British imperialism on the subject peoples. This one for example: http://www.amazon.com/Imperial-Reckoning-Untold-Story-Britains/dp/0805080015 . I would like to read your thoughts on that book. Anyway, you will find plenty on this man’s past misdeeds, including his abuse of free expression and the electoral process, in my archive here. Just click on the ‘hugo chavez’ label. You say my view ‘has more holes than a colander’, a rather hackneyed and inexact expression, if I may say so. If there is a hole there is only one, a hole that you do not wish fall through. I repeat: this man abused the democratic process for his own unprincipled and demagogic ends. Now that is my view based on a close reading on the situation in Venezuela. It’s clearly not a view that you are comfortable with or wish to entertain at any level. That’s your right, obviously, just as it is my right to be a ‘rabid anti-communist.’ I bite, you see, and I bite the things I dislike. It’s not a method of ‘historical examination’, merely a personal technique. Yes, if you want an honest answer, I would far rather have Peron or Pinochet than a man like Chavez, whom I despised. I do accept, though, that history is shot through with all sorts of ambiguities, something you might like to think about a little more closely. For instance, British imperialism was not uniformly bad. You might like to take account of your own advice here. I can certainly help with reading that does not simply reinforce your prejudices. If I can get a hold of that book on AmazonUK you will be able to read my views at some future point. Finally, I’m pleased to accept all reasonable views here, your own included, no matter how much they diverge from my own. But I should make it clear - though it must be blindingly obvious - that I am politically right wing, conservative and libertarian. Chavez is the very avatar of all that I despise. A Leo who succumbed to cancer, or poison, if you are so minded! You can download the book here if you don't want to wait, Ana. I haven't read it myself, but it does look interesting. BTW, you'll find all sort of interesting books there, some very hard to find and expensive! Going back to Chavez, these sort of low quality democracies or populisms usually crop up in countries where the ruling classes have failed in advancing the interests of the nation as a whole; I've always thought of them as proof of the incompetence of the more traditional rulers. In our case, Perón showed up after our aristocracy failed to find a new path for the country after the Crisis of 1929; the sons of the same people who had succeeded in making Argentina the 6th richest nation on Earth (our GDP per capita was higher than that of France!) were simply not up to the job. Similar claims can be made about him like the ones Craetagus made about Chavez. He spent a great deal of resources on schools, Hospitals (the largest one in my area was built by him over sixty years ago), subsidized housing and so on, but it is also true that this created wild expectations and a general feeling of entitlement that have caused unrealistic demands on the Federal State and, subsequently, on our Economy as a whole for decades. Perón -and Chavez- created a great amount of political capital for themselves and somewhat improved the situation of the needy in the short term, while disastrously hampering the Economy and poisoning political debate in the medium and long terms. Not "Cancer" as in the astrological sign! but rather a malignancy or corrosive element! @Wilson, thank you so much for that. I tried to locate that book on AmazonUK but there is no mention of it or the author. There are several other books on Peron or Peron and Evita. If there are any that you would recommend please let me know. Your points about Chavez and Peron are very well put. Quite frankly you fascinate me. Your written English is the best I have ever read from someone who is not a native speaker, a lot better than many who are. I hope this does not sound matronising, because that is far from my intention. As for Page's book, you can buy it here in Amazon US or here in Amazon UK. From the looks of it you'll either have to settle for a used copy or pay through the nose for a new one; it's been out of print for a while. FYI, I had no problem at all finding the book, most likely because I used the ISBN number instead of the author's name. Most of the other books I've read on the subject of Perón (on which I'm hardly an expert) have not and most likely will never be translated into English, I'm afraid. If by some miracle you find a translated copy of "Perón y su tiempo" by Félix Luna (which, again, I doubt even exists) or "El 45" by the same author you'd be more informed than most on "El Pocho". A book of which I have fond memories is the one my High School teacher made us read: A History of Argentina in the Twentieth Century, which you can download here. The author, Luis Alberto Romero, is the son of one of the best Argentinian Historians, José Luis Romero, and a very good Historian in his own right. If you have the stomach for it (and I say this because he is an infamously bad writer,) I could also recommend anything by Tulio Halperín Donghi, widely regarded as the best living Argentinian Historian. Some of his books have been translated into English, though not the one that deals more specifically with Perón. I hope you find some of this information useful, Ana. Anastasia, the book I suggested you read has a slightly different title in Britain: http://www.amazon.co.uk/Britains-Gulag-Brutal-Empire-Kenya/dp/1844135489/ref=sr_1_1?s=books&ie=UTF8&qid=1363246299&sr=1-1 . I look forward to reading your review (like you I contribute to Goodreads, but I don't think we can be friends!). To say that Pinochet, who was directly responsible for the death of around 3,000 people, was preferable to someone who tried to help those who were least well off is beyond sense. Since you like films, you might like to look at this one: http://www.amazon.co.uk/Britains-Gulag-Brutal-Empire-Kenya/dp/1844135489/ref=sr_1_1?s=books&ie=UTF8&qid=1363246299&sr=1-1 .It deals, in part, with the deeds of a truly evil man, friend of Margaret Thatcher, Augusto Pinochet. The only part of your reply which I agree with is your castigation of me for using a cliché. I do apologize, it is something I try to avoid. Craetagus, thanks. Oh there was a lot wrong with Pinochet but, like Franco in Spain, he left his country stronger than it was before. Venezuela, economically speaking, is a mess. I did not suggest that the British Empire was perfect, merely that, contrary to your own perception, it was not uniformly bad. Thanks for the friendly reply Anastasia. I might just send you a request after all!